Netflix Inc. subscribers who want to stream video in Ultra HD/4K and High Dynamic Range and watch the over-the-top service on up to four screens at once could soon be asked ante up and pay more of the freight. To gauge how consumers will respond, Netflix is testing a new tier, called Ultra, that will cost $16.99 per month — $3 more than Netflix’s current top-end Premium offering, which provides access to Netflix’s Ultra HD/4K library and an allowance of up to four concurrent streams. 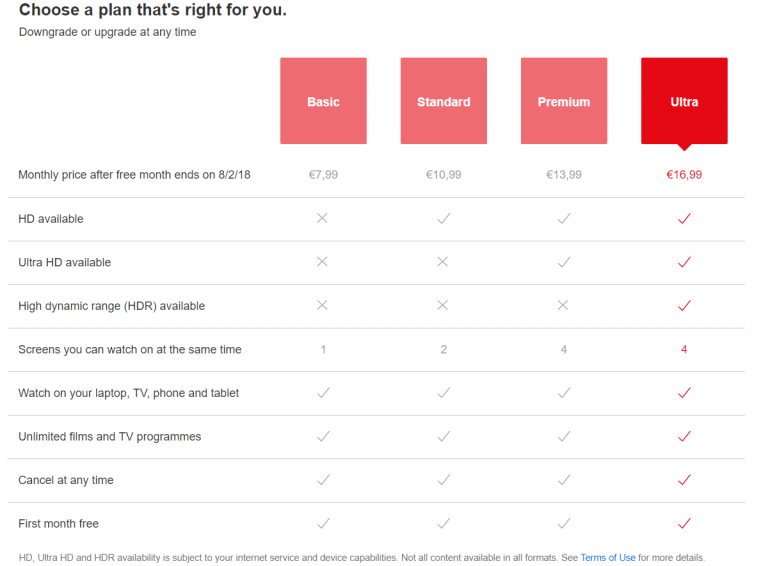 For those limited Ultra trials, first spotted by TuttoAndroid.net and expanded on by Cordcutting.com, Netflix is trying out a couple of different pricing and feature options — one that would provide access to Netflix’s UHD library along with access to four concurrent streams while cutting the Premium tier down to two concurrent streams; and another in which both Premium and Ultra subs would get the UHD library and up to four streams, with Ultra subs also getting access to titles with HDR, which delivers richer, more vivid colors and brighter pixels. Netflix confirmed the trials, but was noncommittal about if or when it might settle on the features of a future Ultra tier and roll it out on a global basis. If Netflix does move forward with Ultra, it would clearly be looking for heavier users to pay a heavier fee for getting access not just to more streams, but streams that are encoded for emerging video formats that provide more (and better-looking) pixels. Netflix’s costs for UHD streams are indeed higher, as it recommends a “steady” broadband connection of 25Mbit/s or more, compared to 5Mbit/s for HD quality and 3Mbit/s for standard-definition. 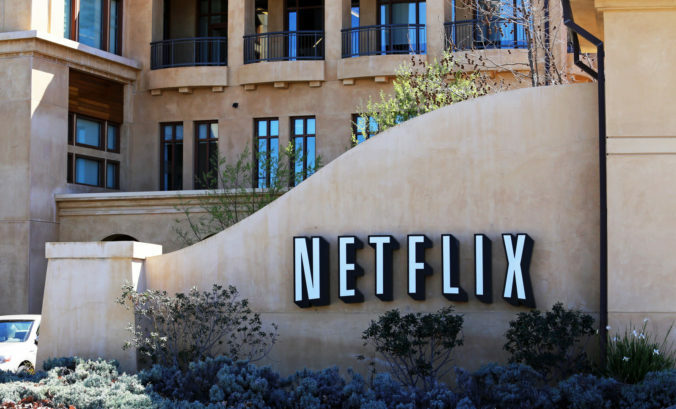 Going with a pricier tier targeted at the crème de la crème would also help Netflix avoid an across-the-board rate increase that might create a backlash and cause customers on all service tiers to flee. But concentrating bigger fees on Netflix’s high-level customers could goose its average revenue per user. Revenue growth currently isn’t a sore point for Netflix (revenues jumped 40.4%, to $3.7 billion, in Q1), but content costs have reached the stratosphere — Netflix expects to fork over $7.5 billion to $8 billion in content expenses alone in 2018, factoring in dollars for both licensed and originally produced series and movies that have gone a long way in helping Netflix gain and retain its massive subscriber base. The effects of rising content costs aren’t being felt only by subscription VoD services in the over-the-top world. A set of OTT-delivered multichannel TV services — DirecTV Now, Sling TV and PlayStation Vue – have recently jacked up their rates. Are You Prepared For The Next Security Breach?